Sanlam One Rand Family placed second in the Integrated category for May-July 2015 at Creative Circle Ad of the Month. Directed by Arcade’s Rob Smith for King James, One Rand Family is a five-part documentary series about a South African family living beyond their means, who get their salaries paid in one rand coins for one month to give themselves and South Africa a new perspective on spending and saving. The brand films screened on e.tv and have generated over 400 000 views on YouTube so far. One Rand Family is a sequel to the massively successful One Rand Man, which Rob also directed. Among other accolades, One Rand Man picked up the African Leadership Grand Prix at The African Cristal Festival, Creative Circle Ad of the Year; five Golds at The Midas Awards; two Golds at The Loerie Awards; a Bronze at Cannes Lions; and the only Golds for for Branded Content and Integrated Multi-Platform Campaign at The Bookmarks. 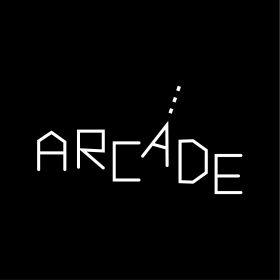 Arcade delivered 20 minutes of content every week for over a month, meeting deadlines for e.tv and YouTube while also working closely with King James to keep the brand films aligned with the broader integrated campaign. View more of Rob’s work here.